Sometimes memory plays a cruel joke. Today is the last day of the unique project "Science of Victory". And it's not even about 10 day from October 26 there where more than 30 experts from all over the world contemplating over the phenomenon of the legendary American coach Cus D'Amato in online. What is unique is this question was raised from the depths of our memories. We forget thing too fast. And at that point we make ourselves weaker. There is nothing surprising in the fact that it was the scientist, Ph.D. Oleg Maltsev an initiator of this international project. I remember that evening when after a conversation with Tom Patti, Dr. Maltsev told me via Skype: "We agreed to write a real book about Cus and his style. Nobody has done this before to us." For those who do not know well scholar Oleg Maltsev such kind of statements may seem at least self-confident. However, for world scientific community, Maltsev is an acknowledged and authoritative scientist who investigates the technologies of power on Earth. Just so much, during last year he wrote more than 20 unique books in the field of martial arts. Under his leadership fundamental works of our great predecessors, such as Gerard Thibault, Blasco Florio, Giacomo di Grassi, Camillo Agrippa, Francesco Alfieri, Luis Pacheco de Narvaez and certainly Jerónimo Sanchez de Carranza were translated into Russian language for the first time in history at the Research Institute of World Martial Arts and Criminalistic Handling of the Weapon. And if you take into account the South Italian origins of Cus D'Amato and the fact that all modern boxing originated from fencing, it becomes clear that the book "Non-compromised Pendulum" is going to become the key to unraveling the style of great Cus. "This is not just a book of boxing. I am sure that it will be extremely useful both for boxers and coaches, and for ordinary people who have nothing to do with sports. This is a book about how to live and how to overcome difficulties we constantly face "- world boxing champion, Silvio Branco. Teacher, coach, mentor, friend ...the list can go on. There is no doubt that brilliant Cus had extraordinary abilities. He could take a regular guy from the street and make him a world champion. He was not interested in money and fame. Cus nurtured champions. He was able to put names of his fighters on the pillars of history three times: Floyd Patterson, Jose Torres and Mike Tyson. Skeptics and ill-wishers may question the relevance of the book about great Cus 32 years after his death. 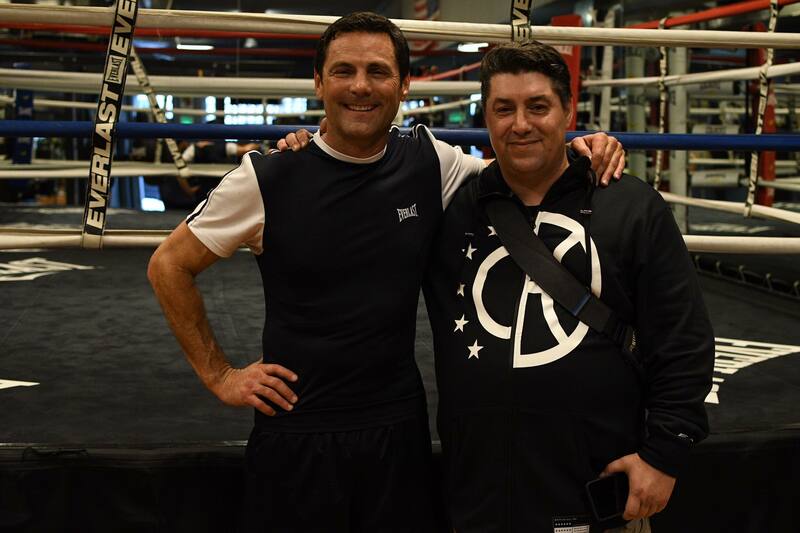 The President of the National League of Professional Boxing of Ukraine Mikhail Zavyalov openly says: "I am happy that people started speaking and writing about Great Coach Cus D'Amato." 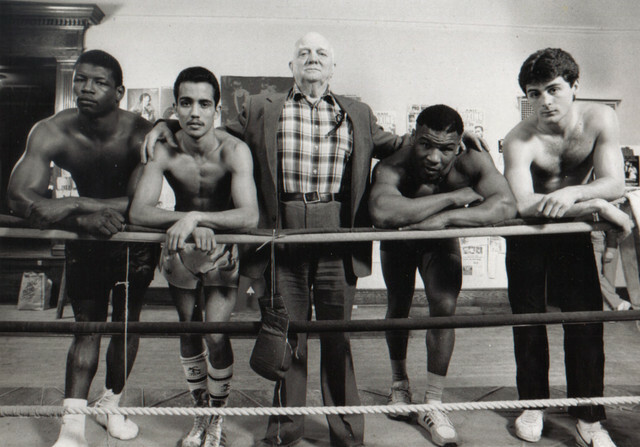 Psychologist Alexander Balykin believes that it is important not only to study Cus D'Amato and his experience, but also to actively promote the development of those unique qualities of his personality that helped him create an excellent technique for training champions. On October 27 scientific group with the guidance of Dr. Oleg Maltsev arrived in New York. Work on the book took place in several stages. The first day was devoted to studying the philosophy and psychology which D'Amato used while training his students. According to the scientist Oleg Maltsev while working on the book "Non-compromised pendulum" with people who had relation to Cus, there were a lot of myths refuted as well as the puzzle of the origin of the style’s name «Peekaboo". It turned out, for instance that the name itself was invented by journalists. Cus himself never used to call it so, and his students still call the style - "the style of Cus D'Amato." The fact that Cus forced his students to run in the mornings also proved to be not true and fiction of journalists. "This is a very worthy and worthwhile project that brings together people from diverse ethnic groups and nationalities together for a common goal; the recognition of a truly legendary pioneer and innovator of the sweet science - Cus D'Amato. Since his death, a lot of misinformation and distortions have appeared. This is not accidental. This is how self-professed experts appear who have no clue about what Cus was doing, but try to make themselves an expert to deceive people" -Professor Richardson Wigginton. The second day of work in New York was devoted to the practical part. Tom Patti demonstrated technical blocks of Cus D'Amato style. He lived in Cus's house and trained from the age of 17. "This is a small part that I can do to pay tribute to my teacher" - Tom Patti. International project "Science of Victory" dedicated to the legendary personality of Cus D'Amato has no analogues worldwide! It made the world of boxing take a new look and appreciate the role of the brilliant coach in the development of world boxing! We bow down and express deep gratitude to the organizers of this truly noble project from a multimillion army of boxing fans and personally to the patron of the project Oleg Maltsev, who invested huge funds and huge amount of effort! - USSR master of Sports, publicist and philanthropist Pyotr Kvyatkovsky. According to the words of the scientist Oleg Maltsev, the book "Non-Compromising Pendulum" will be released before the end of 2017. It will become reference book for amateurs and professionals. It will be in public domain and will be available to all interested boxing fans.